Many thanks to Osiris for the review which was sent to us a few days ago. 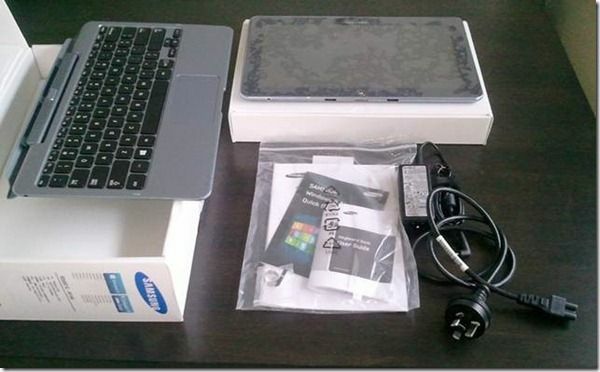 Osiris is a Samsung ATIC SmartPC owner and has submitted this review as a guest post. For the last decade I have had an on-going, on and off again, love-hate relationship with Windows based tablets. Some of these tablets have included and spanned hefty Windows XP tablets, tiny Vista based tablets right through to modern more effective Windows 7 tablets. Despite these varieties and many more shapes and sizes, typically over this time the same limits have persistently dogged these tablets; poor battery life, heavy weight, poor performance and high niche pricing. In many instances the latter two were forgivable; however trying to use a tablet for day to day, study or business purposes with the first two deficiencies makes it an uphill – and often – inconvenient battle. With the advent of Windows 8 another era of hope and optimism dawns over the Windows tablet landscape. Promises of light devices providing all day battery, choices of performance at all levels and a true windows experience in a mobile platform abound. I am familiar with these promises from almost every generation of Windows tablets since their inception, the question is could this year finally be the year it all comes true? 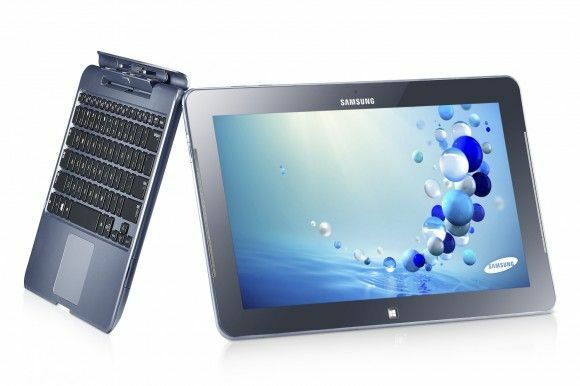 The short answer is Yesâ€¦but we are still in an era of compromise, this goes for all tablets.Keep that in mind as I will speak more about that at the end although without further delay let’s get into looking at our first Atom clover trail based Windows 8 tablet, the Samsung Smart PC. Despite a lack of fanfare or goodies within the packaging or its contents it was still quite exciting to reach in, pick up and start peeling the plastic off that Windows 8 tablet. â€¢ The actual build quality was both more solid and of better actual quality than what I had been expecting. In some initial impressions and YouTube videos people talk about and demonstrate creaking in the plastic back of the device. Many comments lament this being generally just typical of Samsung build quality. I agree this device does not have the same indulgently nice magnesium carbonate quality feel of the recently released Surface nor the beautiful to touch feel of say the Macbook Air for example – but it’s a step up from the Galaxy Note and other Galaxy products I have used. I have also been fortunate enough not to experience the creaking of the plastic as some users have found. I can also confirm I cannot replicate the further issues Gizmodo claims to have had around the build quality affecting the display of the screen. The actual design of the unit is quite minimalistic, the ports are tucked away at the edges and have covers, the two stereo speakers are barely noticeable slivers on the front sides and the buttons feel solid and raised enough to be tactile and easily felt (volume, auto-rotate, power on/off). 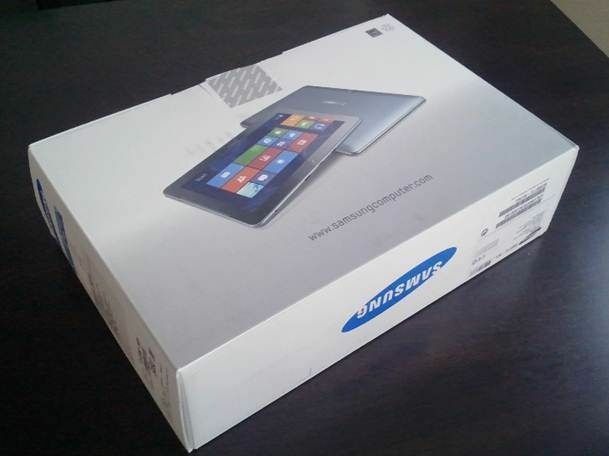 Better build quality like the surface or even the series 7 Samsung tablets is always welcome but even with the plastic backing the device feels solid to both hold and use. The only area of build I can mark the unit down in would be on the port covers. Every time I use a port I keep waiting for these flimsy things to break off and seeing them stick out when I’m using the HDMI or USB ports just makes it look a bit cheapened. 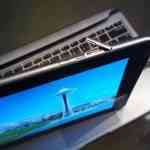 Coming from the iPad I have to say it’s a pleasure having the USB port on the device and ready to go. I guess after not having it on tablets for so long I wasn’t really expecting to get much use out of it but this little addition has been greatly welcomed for quickly transferring files on and off the device and connecting my phone and other accessories when needed â€“ In both business and personal usage. Yes USB 3.0 would be great (see the smart pc pro) but just having a port without having to buy an accessory or stuff about is just how it should be. Not all the Windows 8 line up has the usb slot on the actual tablet device so just keep an eye out if you are looking into these Windows 8 tablets. The Mini HDMI out works with no hassles and as easily as you would expect. Yes, a full HDMI port would have been more useful but mini hdmi cables are starting to become common place and reasonably cheap. Connecting it to my monitor was a breeze and it simply worked. With 1900x res I did not observe any lag with common tasks or multitasking. The same was true when video was playing out to it. I did not however test the audio return. Apparently a good hdmi mini cable or the proper adapter does have audio return so you could output the video and sound to the monitor/tv device as well. As I described earlier I was pretty surprised with the weight of the device and continue to be happy with this aspect. With the ipad 3 in its case I actually think they actually feel about on par. Over long periods of time and as you approach the 1kg mark tablets begin to lose some of their portability factor even if its only around reading for extended times. I had a suspicion the 700g arena of the Samsung might suffer from this problem coming from the ipad but perhaps because the weight is distributed across a larger surface it has not and at this point I cannot see it being an issue. One of the things I have enjoyed most about consumption tablets like the iPad and Galaxy tab is just being able to hit the power or home button and the device is instantly on and ready to go. 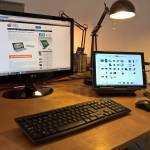 I was concerned with Windows tablets that standby/hibernate or resume times would be tedious and put me off reaching for the device as often as I might the ipad or other tablet. The combination of power options within Windows 8 and the Online standby mode supported on clover trail architecture delivers impressive results. 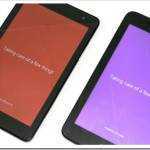 Throughout the day your device will enter an online standby or ‘sleep’ mode. This is a greatly reduced power state that can not only perform limited background tasks such as checking for email so that when you power on the device the latest mail is ready and waiting but it provides the same instant on functionality you get with any other tablet. Other Samsung smart pc owners have suggested hibernate is on by default, I am not convinced of this but nevertheless with some tweaking you can get it back. When in hibernate mode just like any other Windows notebook your desktop session is saved and the device enters an incredibly low power usage state. The resume time from hibernate is not as quick as the online standby but you can be back in your desktop within 10 seconds which given my work is saved and the incredibly lower power consumption for leaving it essentially on overnight or for extended periods with no usage, I have been very happy with. Initially I was pretty impressed with the boot time and I actually suspect a recent firmware update may have extended the time as whilst doing this review I clocked the boot-time from cold boot at 23 seconds to desktop. Ideally between standby/sleep and hibernate the device is unlikely to be fully powered down at any point so this shouldn’t be too much of an issue but its nice to know you can be on your desktop in less than 30 seconds unlike rebooting a laptop or netbook of old where a cup of coffee whilst you wait was the order of the day. I mentioned at the start that battery life is one of the key things needed for a productive and good tablet experience. Regardless of whether you are looking at this from a business, student day to day or purely consumption point of view â€“ no one wants to be tethered to a power point and in terms of business usage to adequately utilise these you need the confidence in your device that you are going to make it through the day. One of the big promises of Clover trail is all day battery life and it delivers on this. Samsung rates the device at 14.5hours (Mobile Mark) and 10 hours video watching. To be honest it’s hard to tell how many hours I am actually getting from this device, whilst its getting me through the business day with ease, keeping a log of the actual hours used is a bit tricky (as I’m working across a range of devices and situations) for example, at 100% charge and keeping the device ‘on’ all day (display off / SoC standby) I typically come home from a from work with an average of 60% charge remaining. The actual usage time though may only be about 4-5 hours predominantly of inking / document viewing or writing / network usage (browsing/file transfers/rdp). On a single charge the device has gotten me through two business days worth of work, I would say this was with a conservative total usage time of 9 hours medium constant use over those 2 days and the device not being fully powered down at any point. To some extent non video usage is hard to gauge, I don’t know what was involved in achieving a Mobilemark of 14.5 hours, for my own light-medium usage I don’t see me quite hitting that mark but other Samsung users claim to hit 10hours with battery to spare so I question if the battery in my device is 100%. Nevertheless 2 hours of constant web browsing with max screen brightness seems to drop the unit just 20% giving you close to 10 hours battery life with constant usage and unlikely high screen brightness â€“ certainly on par with many common tablets. Samsung rates the unit at 10hrs of video watching but doesn’t specify the conditions used for that to be achieved. Using a screen brightness of 40%, wifi/nfc/bt turned off I was able to run several 1 hour tests of both 720/1080p video and in these instances the charge rate fell by 8-9%. Full screen brightness doubled the drainage as expected. I estimate you would get 7 hours of full video at max brightness. In comparison to the user reports from the Samsung Pro (iCore5) which taps out at 3-4hours under similar conditions. Extrapolating from that its easy to see the unit would hit 10hours under those the 40% no wifi conditions. Online standby mode will consume more power depending on how many applications you have running (as mentioned earlier it performs limited tasks for some apps/applications). Leaving it on overnight in this state – depending on your power settings – can see you drop 10%. Hibernate on the other hand in the same time frame will barely move beyond 1-2% drawdown. 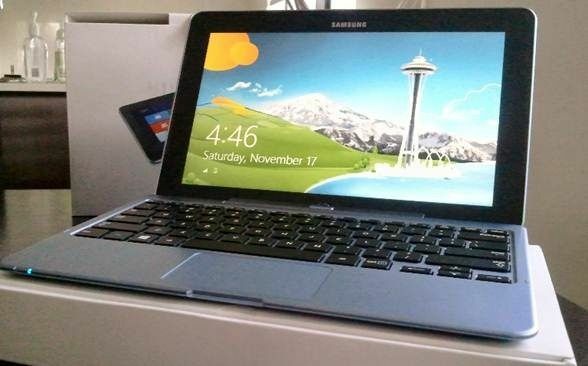 Overall I am very happy with the battery life of the Samsung smart pc and it achieves what no tablet pc without a spare battery, battery slice or spare power adapter has done before and that is provide me with a full day of battery life and the confidence that I can leave the charger at home and am truly free. With the device on it takes just under 2.5 hours to return to full charge. 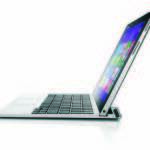 Breaking the trend of 10 inch screens the Smart PC boasts an interesting 11.6 inch landscape based display. The landscape nature of this display might be off-putting initially for some but I have come to really enjoy and appreciate it â€“ so much so 10 inch just seems small now. Where the landscape based nature of this display really comes into its own is with multi-tasking. Being able to comfortably split the screen or utilise the snap view of metro apps with this display is just ideal. It really takes your ability to do more with the device, all at once, to a new level. The galaxy note has a similar function but in its apps but it’s a limited implementation whereas this flows across the whole system. 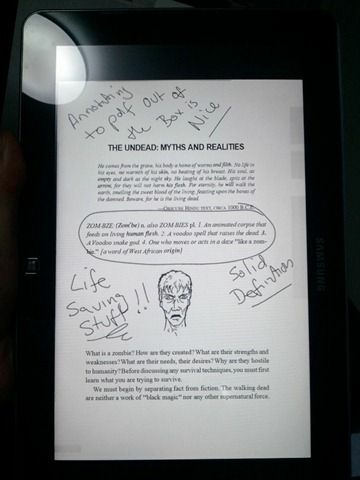 In portrait mode e-book reading and in particular the inking experience shines â€“ its like inking on an A4 notepad. The hardware button to turn on and off the auto-rotation of the device is also a welcome implementation. Despite its HD limitations with the resolution of 1366 x 768, I find the screen to be clear and sharp. Web browsing, office work, inking, ebooks have all been fine. Viewing pictures and video on the device appears vibrant and well colourised. Being an LED screen backlight bleeding can always be a concern but on this unit at least I can find no noticeable bleeding. The 400nits rated screen brightness is also powerful and offers an excellent viewing experience. 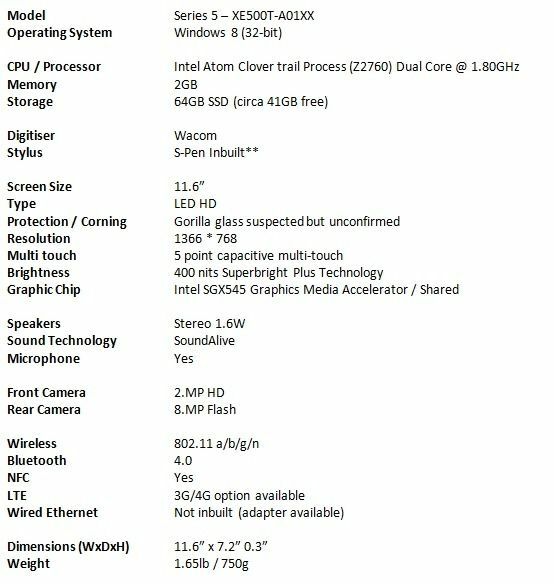 Its no secret that some are militantly married to their Full HD or retina displays and whilst I cannot claim to be in love with them to that extent I do prefer a FHD display wherever possible, so I was curious to see if this would be an issue with this device and the atom range in general (all limited to HD). To my surprise it hasn’t been an issue. 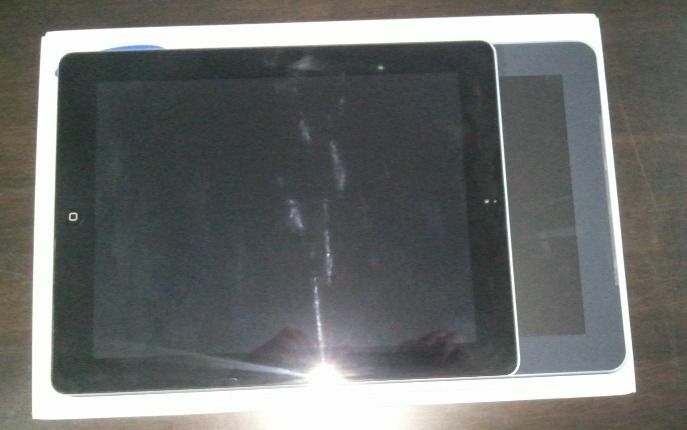 If I put the ipad 3 and the Samsung side by side of course you can see the difference but the devices don’t detract from one another in the sense that it goes back to what I said above, the smart pc screen still looks clear and vibrant and text appears sharp. For me I would say the biggest downside of the screen has been its magnetic attraction to fingerprints. This is another area where the Clover trail atom delivers and will exceeds people’s expectations of the Atom processor. 720p and 1080p video plays as smooth as butter. As well as playing smoothly the videos looked good on the screen and I have already clocked up a couple of unexpected hours watching videos on the unit. If its not enabled in the software by default (cyberlink for example) just enable hardware acceleration and you are away. Running a full version of windows, quickly installing VLC player allowed the device to play everything that was thrown at it. The device was even able to multi-task most general things whilst the videos played either in the background or docked to the side with the handy split screen feature we’ve come to enjoy since Win7. Microsoft have a long history of innovation and implementation around Inking. I genuinely think its safe to say that Inking is Microsoft’s domain and after all these years it will be nice to see the technology they have tried to promote since the first tablets, finally reach the masses. Powered by the Industry leading Wacom digitiser technology the Samsung delivers a smooth and lag free inking experience right out of the box. There was some concern amongst inkers and those who had already said goodbye to paper, that the atom processor may not be enough to produce a fluid, lag free inking experience but I can confirm the atom clover trail processor delivers a lag free fluid inking experience. Whilst the inking itself is smooth and fluid as it keeps with your actual handwriting, the lasso or selection tool â€“ at least in OneNote 2013 â€“ can be laggy, but this is likely due to the indexing OneNote seems to do. Hopefully this will be corrected in a future update but its only an issue if you want to convert a packed full page of inked notes to text. It’s also curiously worth noting that the metro based One Note MX and Samsung S Note Mini apps do both lag within the Metro UI. Much like the lasso in one note though this is a software issue rather than a hardware one and not anything I think should detract users as the Windows Journal, full S Note software and importantly the very powerful One Note all provide a fluid and true inking experience. Its great to be back to a windows tablet with a proper digitiser. This is the first tablet (range of tablets), due to the all-day battery life, weight and the smooth inking experience that I believe would allow businesses – or those using these for business â€“ and students to actually ditch paper all together. When you combine that with some of the powerful features of One Note it certainly makes for an attractive premise and thus far it is working well for me. Some readers may be thinking that they have seen styluses and note taking possible on the ipad for example. This is true, there certainly are styluses available for the ipad however these are not active digitisers and so the difference in the inking experience itself is like night and day. Even though some of the ipad capable styluses now feature pressure sensitivity and a more refined point (although still large due to the nature of capacitive displays) they then lack the palm rejection technology inherent in active digitiser technology and without which just goes back to that night and day experience between the two. 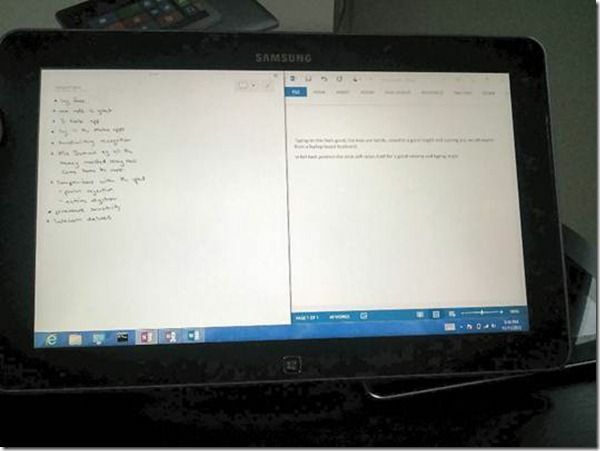 Even if this does eventually make it into a software and hardware solution for these devices, Windows and OneNotes handwriting recognition and inking capabilities are simply years ahead of anything to be found on the platform. So again, if you are serious about wanting to move to digital ink and ditch the paper, I genuinely believe this range offers you the strongest option for achieving that task and or goal. Just like the Galaxy Note, the Smart PC comes with an inbuilt Wacom active stylus or S-Pen – as Samsung calls it – delivering 1024 points of pressure sensitivity for all your inking needs. Whilst the s-pen does the job overall it is quite a small stylus and only featuring one button and no eraser its on the lesser side of styluses I have used. The good news is that since the Smart PC utilises a Wacom digitiser you have a range of alternative styluses you can purchase which will work on this units screen, even styluses with eraser functionality. 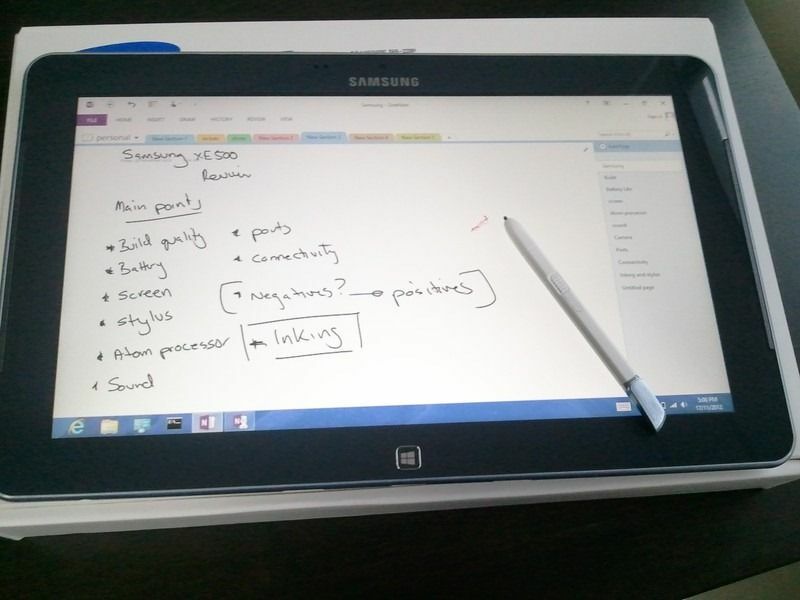 For me I see the s-pen as more of a handy addon as not every Windows 8 tablet that has inking capabilities has an inbuilt stylus silo. 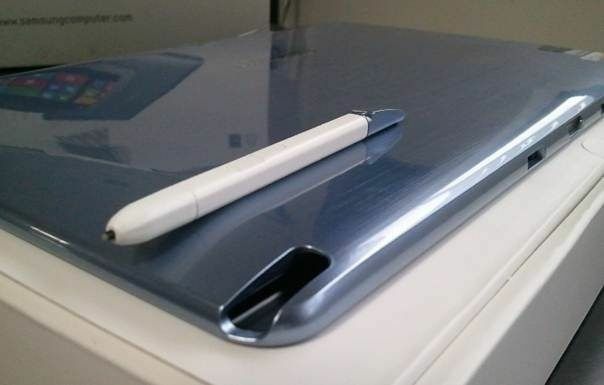 There is nothing worse than losing your stylus or heading into a meeting and not having it on you, so for me this was an important consideration and backup. It may also factor into your buying considerations as the Asus and HP offerings for example will require the stylus purchased as a separate accessory (these can be up to $50). The only other criticism some will have with the S-pen is the actual silo. As mentioned above its great that it has this inbuilt but there’s no denying its really tightly in built. This is good in the sense that you should have no fear of your s-pen falling out and going walk-about. On the other hand it can be tricky to get out of the silo and based on one of my female colleagues test drives of the unit, I recommend being careful using your nails to do so. It’s no secret that in recent years Atom processors have not enjoyed the best of reputations. Often considered cheap and poor performing and made all the worse by being used with even cheaper components to produce those low cost netbooks. This has often resulted in a frustratingly slow and lag ridden experience for consumers. The new dual core 1.8ghz Clover Trail atom processor throws the past out the window and delivers an exceptionally capable, snappy and smooth user experience. Office applications like OneNote and Word open in less than 1.5 seconds or simply just as quick as they do on your desktop. IE10 in the metro interface is a quick and enjoyable experience on the tablet. The only negative I could throw at the processor â€“ and I’m inclined to think it more a software issue â€“ is the performance of Metro apps. Much like on the surface they can take several seconds to initialise, generally once they are loaded the performance is great with the exception of the inking experience. For reasons unknown the metro based apps of OneNote MX and S Note Mini do lag when inking but I will stress again the desktop inking applications load quickly, run smooth and fluid. thanks for this review. It is great. I am only wondering if dockable keyboard can be used when device is not in dock? 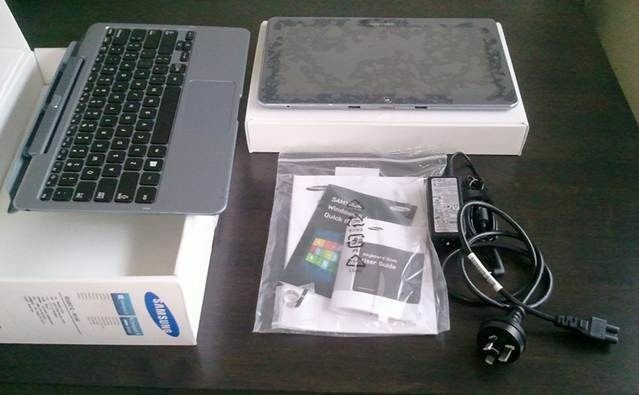 glad you liked the review, unfortunately unlike the previous Samsung slates which used a BT keyboard setup, the dock for this is just a dummy dock, it doesn’t have any connectivity features others than when its connected to the tablet.